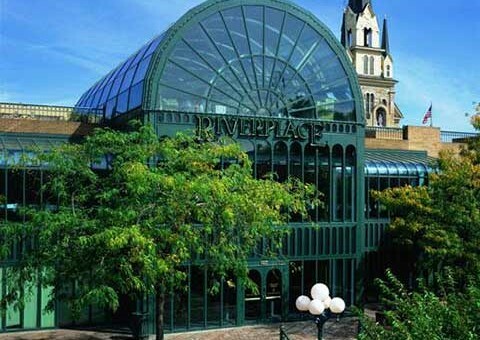 We’re in the Riverplace Building on St. Anthony Main in Minneapolis, Minnesota. Traveling south on Interstate 94 E, take the W. Broadway Ave. exit. Turn left onto W. Broadway Ave., go across the bridge and take a right on County Rd 23/Marshall St. NE. Take a left onto Hennepin Ave., and a right onto SE 2nd St. The Riverplace underground parking lot entrance will be on your right. Traveling west on Interstate 94 W, take the 11th St. exit and continue on 11th St. to Hennepin Ave. Turn right onto Hennepin Ave. Continue across the Hennepin Avenue bridge and turn right onto SE 2nd St. The Riverplace underground parking lot entrance will be on your right. Traveling north on Interstate 35W, take the 5th Avenue exit. Continue on 5th Avenue to 7th Street. Turn left onto 7th Street. Turn right onto Hennepin Avenue. Continue across the Hennepin Avenue bridge and turn right onto SE 2nd St. The Riverplace underground parking lot entrance will be on your right. Traveling east on Interstate 394, take the Washington Ave. exit toward 3rd Ave. N. Turn right onto N. Washington Ave, then turn left onto Hennepin Ave (there is no street sign for Hennepin, but it”s the cross street after 1st Ave). Continue across the Hennepin Avenue bridge and turn right onto SE 2nd Street. The Riverplace underground parking lot entrance will be on your right.